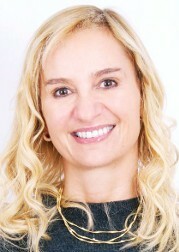 Alexandra Baradi is founder and owner of Exceptional Villas. She set the company up in 1992. Alexandra is a hotel manager by background and is absolutely passionate about travel. She studied at the Shannon College of Hotel Management in Ireland and subsequently worked in Switzerland, London, Scotland and Dublin in various hotel management and marketing capacities before setting up her own company. She started with the Irish vacation rental company – Dream Ireland which features cottages and holiday homes throughout the island of Ireland. This was closely followed by Exceptional Villas which specialises in the best and world’s most luxurious villas, vacation rentals and private islands. Alexandra and her amazingly passionate global team of travel experts and marketers have grown Exceptional Villas from featuring just 4 villas in Barbados to one of the world’s leading luxury villa and vacation rental companies with over 1700 villas worldwide. Her personal passion for travel and her entrepreneurial flair for making guest feel very special from the moment they enquire to the moment they arrive home has enabled Exceptional Villas become the world’s market leader in luxury personally inspected villas. She believes in a nothing is too much philosophy so that when you travel with Exceptional Villas you feel cared for and pampered every step of the way. Alexandra and her team all have one thing in common which is to provide their guests with an unmatched holiday experience and to go beyond expectations. "The most important thing is to pick the right villas and that each property is personally inspected. Every property we feature must reach the very high standard we set for Exceptional Villas. Our goal each and every time is help our guests have their absolute dream vacation or holiday experience"
Her team are equally passionate and have an incredible level of in-debt knowledge on both the villas and the destinations that are featured, setting them apart from every other villa rental company in the world. Her wonderful team take great pride in finding the perfect villa for their very discerning clients. Each of the team members specialise in just one destination rather than in multiple destinations allowing them to become total experts in their fields. Both Alexandra and her team spend much of their time travelling to all the destinations inspecting new villas and re inspecting already featured villas. "The skiing is vast and varied; the car free town is so safe and pretty with plenty of gorgeous shops and restaurants. But what really sets Zermatt apart is the wonderful selection of mountain restaurants. It truly is the ski gourmet capital of the world". "It is like being in St Tropez or the south of France but with all the beauty of the Caribbean and its incredible beaches. It is so sophisticated and fun with great shopping, fabulous restaurants and incredible nature." Alexandra’s personal favourite places to vacation are Italy, Switzerland, Barbados, St Barths and Thailand. She also loves to spend time exploring all the cultural aspects of historic cities.